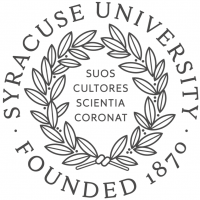 Pentagram partner Michael Bierut and team have designed a new identity for Syracuse University in New York State. 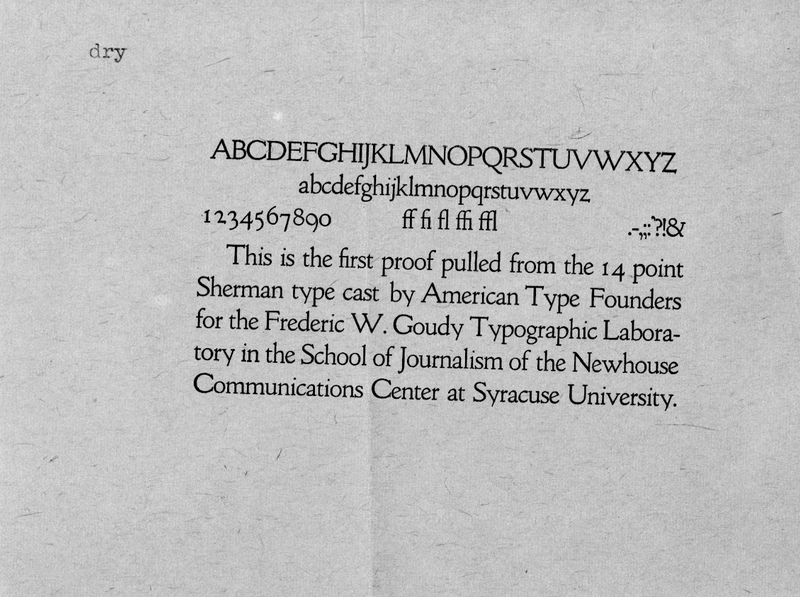 In an interesting development that came to light during the studio’s research, a long-forgotten typeface called Sherman – designed in 1910 by Frederic Goudy for publisher Frederic Sherman – has been revived for the project. A new version of face was redrawn by type designer Chester Jenkins at Village in New York – and to shed more light on the creation of the identity, Pentagram and Dress Code have produced a short film about the project, which can be viewed below. 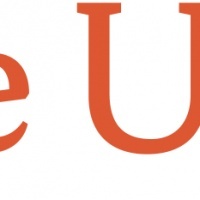 In the film, Bierut describes how finding the typeface was “a gift” and that it acted as a “historical starting point we could use”. The ‘matrices’ for the face were discovered in the University archives by Special Collections librarian, William T La Moy, who also features in the film. 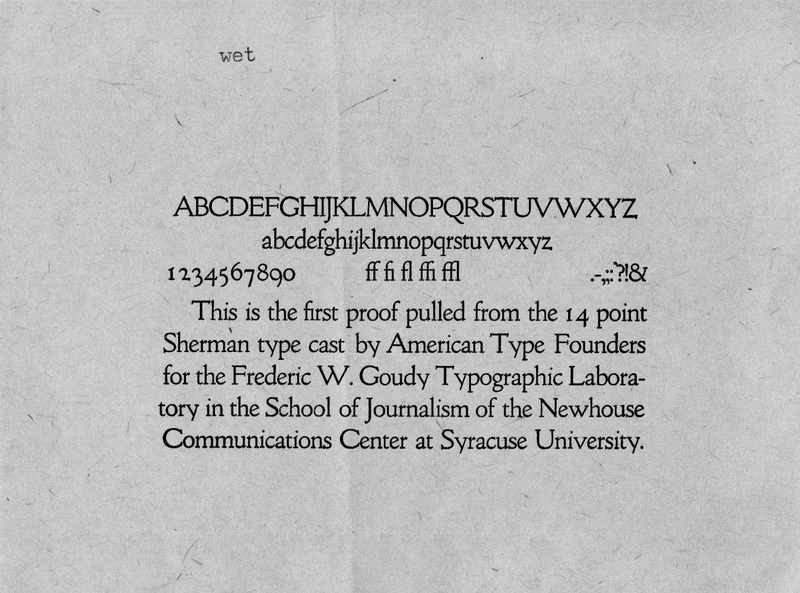 La Moy reveals how Sherman had originally asked Goudy for a new typeface in 1910. 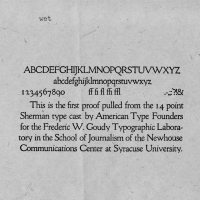 By 1934, when the University founded its school of journalism, an association with the type designer had been more fully developed and was seen as beneficial to the university. 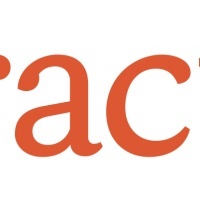 In the 1960s, Sherman’s niece presented the matrices and various other artefacts related to the typeface to the institution. 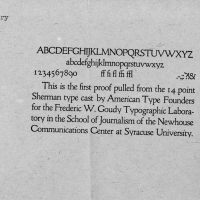 Jenkins goes on to explain how the typeface was scanned, auto-traced and redrawn from scratch, in order to create a 21st-century version of Sherman for Syracuse.